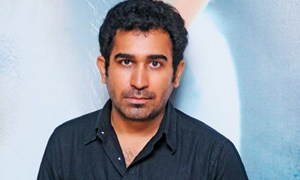 Vijay Antony(Tamil: விஜய் ஆண்டனி; born on 3 February 1974) is an Indian film composer from Tirunelvelii], Tamil Nadu, India. Antony first worked as a sound engineer, later becoming a music director. In 1998 he studied at Loyola College, Chennai after which he founded his own studio, 'Audiophiles', composing and sound engineering for TV jingles and documentaries. The soundtrack of the film Sukran, directed by S. A. Chandrasekhar, became his debut album, while Aascar Ravichandran employed him to compose music for the Tamil film, Dishyum . Other directors employed him to compose for their films. He released Vijay's Vettaikkaran for which he won Favourite Song of the Year - Chinna Thamarai, his first award. He has also won a award for the best music director for the movie Velayutham at Jaya Awards. Antony has introduced new singers in his albums, including some from Malaysia. He composed the title song for the TV soap Kadhalikka Neramillai, sung by Sangeetha Rajeshwaran, a singer introduced by him in the song Dailamo Dailamo from the film Dishyum. Vijay Anthony's acting debut will be in the film Naan, for which he also produces and composes the music..